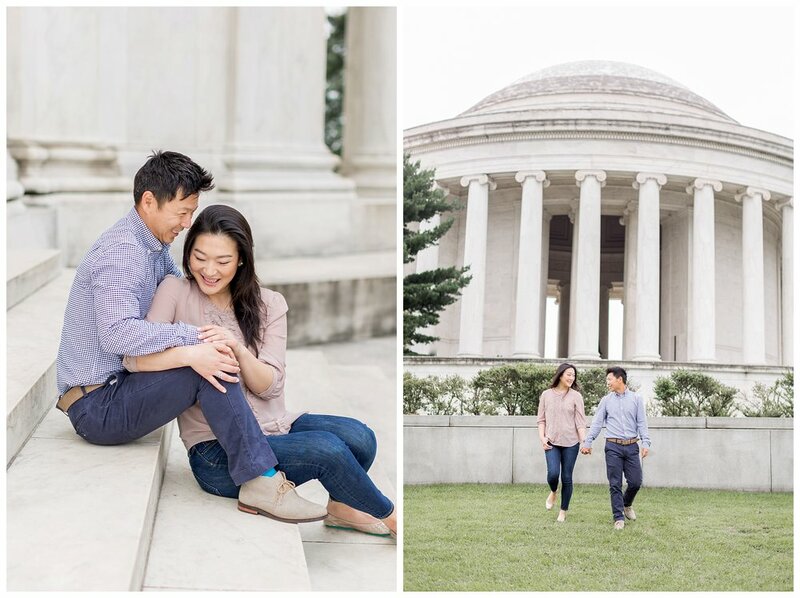 Regina and Young wanted a casual session at the Tidal Basin to celebrate their engagement. 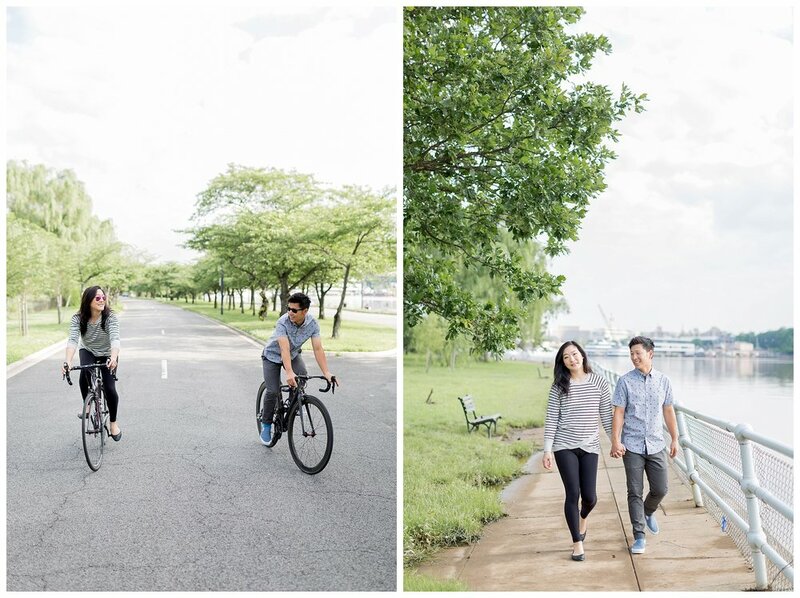 They felt jeans and a bike ride really expressed who they are as a couple! Young goes on frequent rides with his biking group and he and Regina go on rides together on their ti-bikes on the weekends! 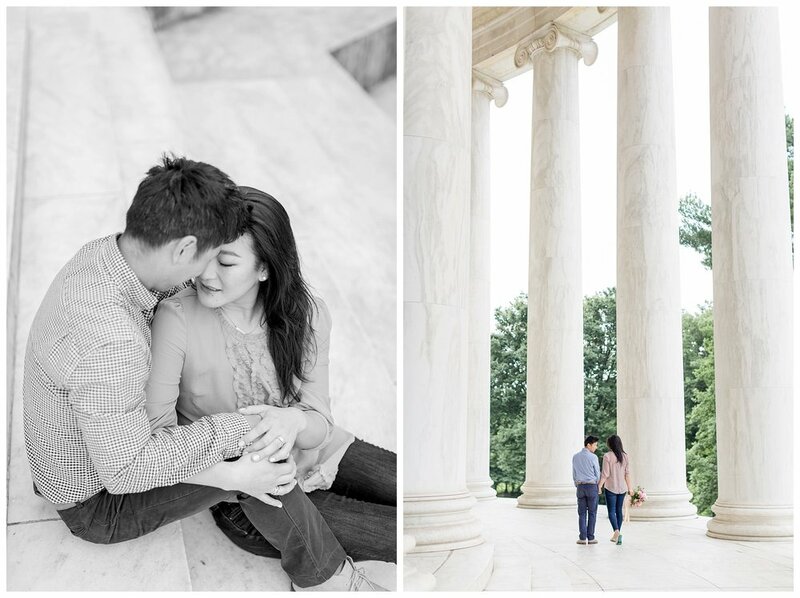 It was super clear how natural and at ease these two felt around each other. Young made Regina laugh in every single spot at Jefferson. 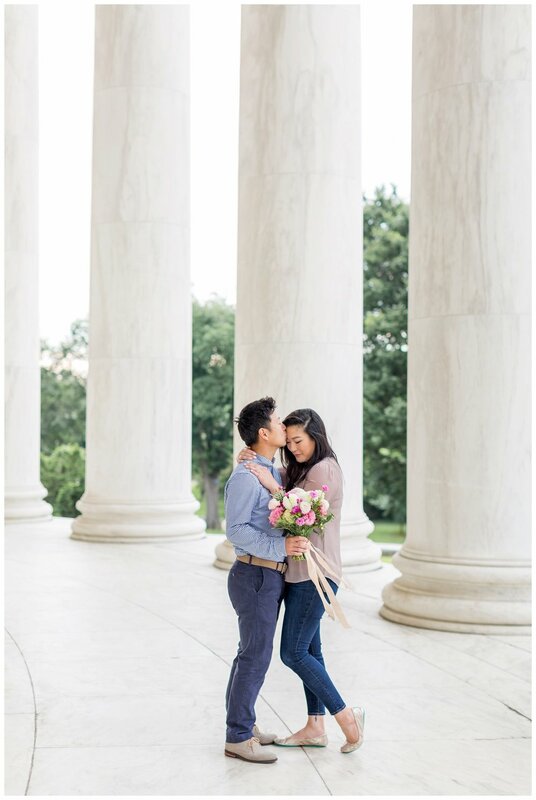 We even joked about the fact that he thought their wedding colors were maroon and mint (sleep easy people, he accidentally blended 2 of the earlier color combos by accident). 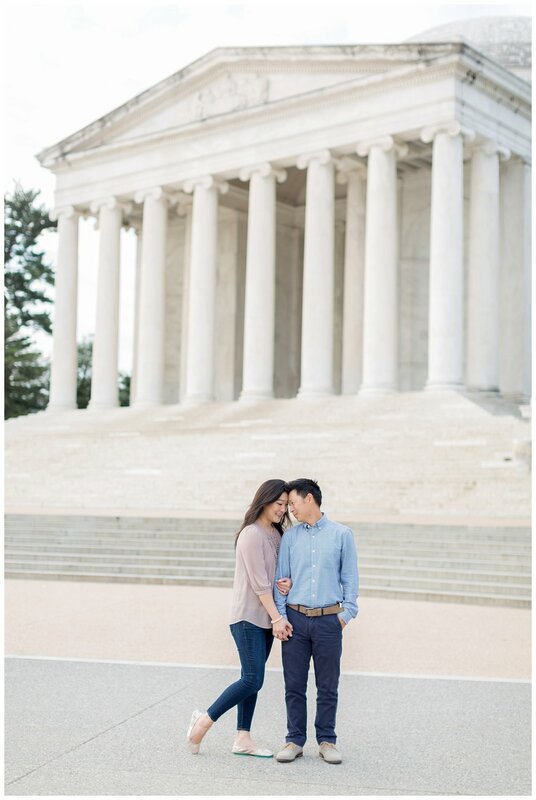 I know that their fall wedding will be absolutely stunning and just as fun as this sunrise engagement session.